A number of media files are saved in AVI format. The typical downloaded AVI file will be around 700MB for an average length movie. As you can probably tell, storing such large files on your hard drive will have you running out of space quickly. As such, you may want to consider compressing your AVI files to smaller sizes/formats. General consumer converters will generally trade off quality for compression. Thus, you will get a much smaller media file with poor quality video and/or audio. If you want to retain the current quality of your AVI files after compressing them, then you might want to use AVI compressor. 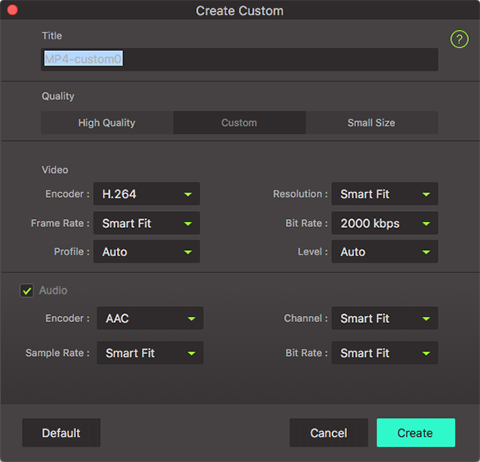 iSkysoft Video Converter Ultimate is one of the most reliable AVI compressor available to Mac and Windows users. It offers conversion to a number of different formats. Moreover, it also allows you to compress your uncompressed AVI files to smaller formats without quality loss. However, you will need to know how to work the program before you can comfortably watch your newly compressed videos. 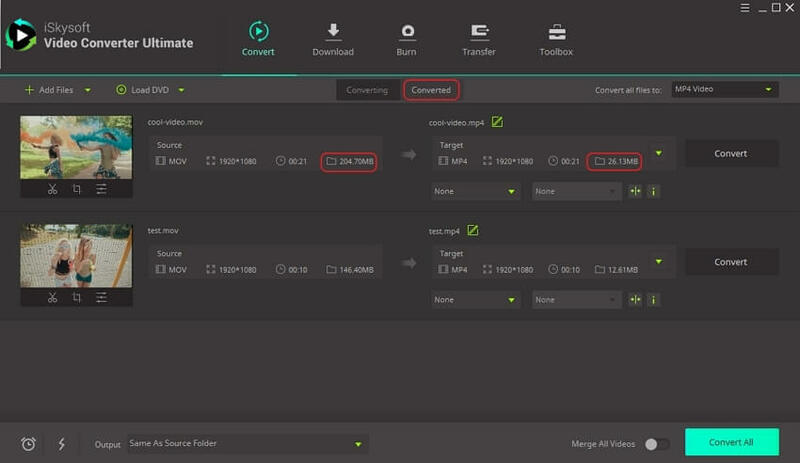 Change the parameters (like resolution, bit rate, frame rate, etc.) of your AVI files for compressing them. Convert AVI videos to various formats, such as MP4, FLV, 3GP, MKV, WMV, M4V, and so on. Edit your AVI videos before converting them with built-in video editor. Extract audio from your AVI files as MP3, WMA, WAV, AC3, AAC, etc. Burn AVI videos to DVD if you want. Directly convert videos after downloading from YouTube, Vimeo, Vevo, Facebook, Hulu, Dailymotion, and other more sites. Launch iSkysoft Video Converter Ultimate when installation complete, and proceed to drag the AVI files that you would like to compress onto the interface of the program. You can also import AVI video files by clicking "Add Files". Method 1: Convert AVI files to other more compressed video format like MP4 with nearlly no quality loss. 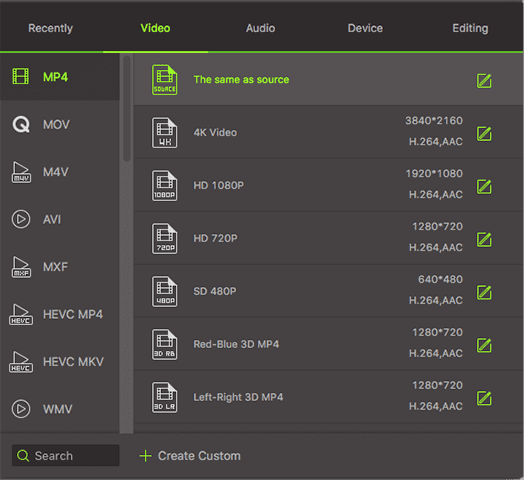 Here you need to select "MP4" as the output format. 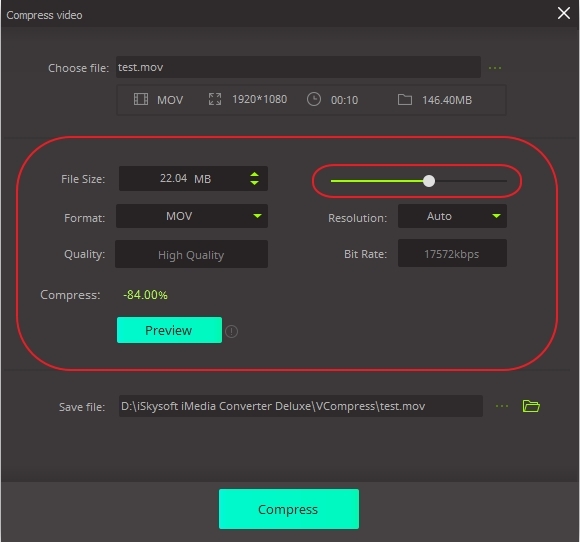 Method 2: You could choose to lower the resolution while maintaining the Bitrate quality in order to maintain the quality of video while compressing your AVI files. To achieve this, please click the Edit icon. Then you will get a pop-up window to set the resolution, frame rate or bit rate of your AVI video. Lastly, click on the "Convert" button to start the conversion and let the program run its course. 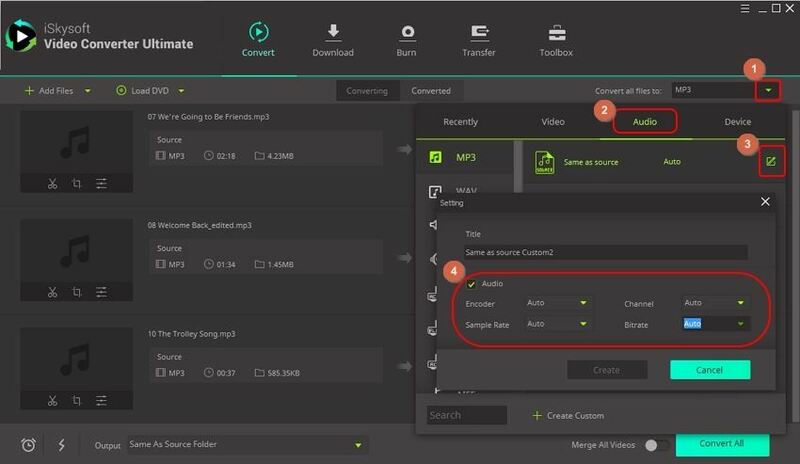 And if you want to learn more about how to compress a video like how to compress MP4 videos, just check these pages to get details. Solution 1: Reduce AVI size by cutting unnecessary parts. You needn't change any settings of your video, and you can learn more detailed tutorial by checking how to cut a video. Solution 2: Crop AVI video so as to compress it. After cropping unwanted area of your video, you will get a video with smaller size easily. To do so, you can learn how to crop AVI videos with ease.